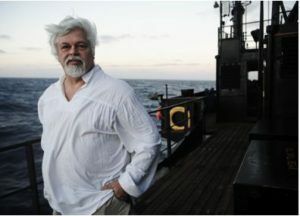 One of my new heroes is Captain Paul Watson, activist and founder of the Sea Sheperd Conservation Society. Reading his recent commentary, “Human Lives Are Not More Important Than Animal Lives” in Outdoor Journal and then shortly after finishing the book, Other than Mother set off swirls of contemplation. Let me explain. Nature has three very basic ecological laws. Diversity, meaning that the strength of an eco-system is determined by the diversity within it. Finite resources, meaning that there is a limit to growth, a limit to carrying capacity. As human populations grow larger they literally steal carrying capacity from other species, leading to diminishment of other species which leads to diminishment of diversity and diminishment of interdependence. So by thinking we are the center of the universe, that we have the highest value as beings over all else in nature we are ultimately creating our own demise. 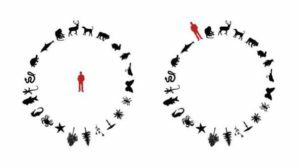 If more of us had a biocentric position – one that would purport that “human life is not more important than the life of a gorilla or a whale” would the human species more readily see that there are just too many of us? Would we as a species accept the logic of reducing and stabilizing our population for the survival of our own species as well as all others, and actually act on it? What would it take to move people from anthropocentric to biocentric values? Why is the human species so prone to anthropocentrism in the first place, from a psychological point of view? 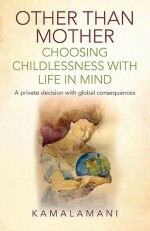 Then I finish the book, Other than Mother: Childlessness with Life in Mind: A Private Decision With Global Consequences. 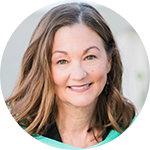 In 42 short chapters, therapist, writer and Buddhist Kamalamani gives readers a combination of memoir and guidance on the motherhood decision through a Buddhist lens. I finished Other Than Mother pondering and curious to pursue the question: How can Buddhist philosophy be integrated with discussions of reproductive ethics to solve the human overpopulation problem? In chewing on the thinking of Watson and Kamalamani, it clicked that Buddhism is biocentric. I also realized how both Buddhist and biocentric points of view support ethical reproductive decision making in today’s world. Both support moving past pronatalist dogma and norms that exalt the role of parenthood, which includes telling us we all are supposed to want to have children, and if we don’t there is something wrong with us. Both would seem to be against these kinds of beliefs – or more rightly, myths – because they mean bringing more people into the world, which means continued overpopulation of human beings, which ultimately means harm to the human species and other forms of life on the planet. What thoughts do you have on biocentrism, Buddhism and the parenthood decision? Childfree Crones on: Why International Childfree Day?